Receive the whitepaper straight into your inbox! Actual customer behaviour: What are customers doing? Sentiment: What are customers saying? Using what we now know from our research, what more can be extracted from existing NPS data to help inform a customer experience strategy and plan? The research won Best Paper at the 2017 Australian Market & Social Research Society’s National Annual Conference. 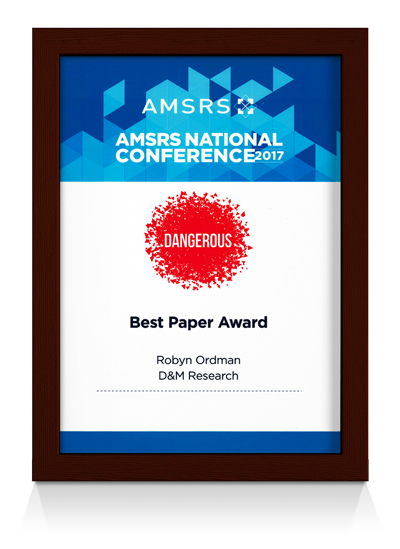 To further discuss our award-winning NPS paper and resulting program, call D&M Research on (02) 9565 2655 or email Robyn* today. 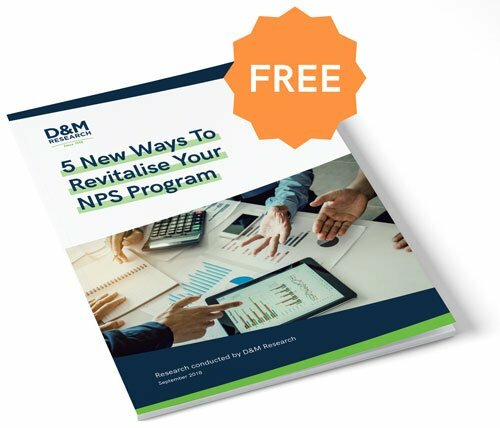 *Robyn Ordman is the author of the award-winning paper "5 New Ways To Revitalise Your NPS Program" and a Research Consultant at D&M Research.